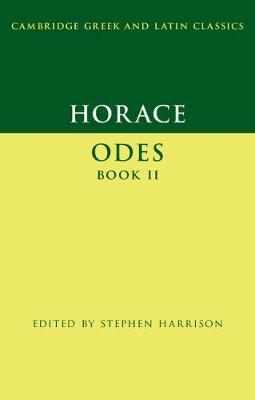 Horace's Odes remain among the most widely read works of classical literature. This volume constitutes the first substantial commentary for a generation on this book, and presents Horace's poems for a new cohort of modern students and scholars. The introduction focusses on the particular features of this poetic book and its place in Horace's poetic career and in the literary environment of its particular time in the 20s BCE. The text and commentary both look back to the long and distinguished tradition of Horatian scholarship and incorporate the many advances of recent research and thinking about Latin literature. The volume proposes some new solutions to established problems of text and interpretation, and in general improves modern understanding of a widely read ancient text which has a firm place in college and university courses as well as in classical research.